'Rogue One' Album Review - The "Williams Way"
Rogue One: A Star Wars Story represents a new path for the Star Wars movie franchise. This film is different from any Star Wars film that came before it, which has been attributed to a number of different factors. Firstly, it is the first Star Wars stand-alone film of the franchise, no longer focused on mere episodic content which is centered around the Skywalker family. Secondly, a fundamental element of previous Star Wars films has altered, the music. The music, which is sometimes referred to as the oxygen of Star Wars, has been composed by legendary musician John Williams in every film prior. Rogue One on the other hand was composed by Michael Giacchino. Giacchino was brought in as a last minute replacement for composer Alexandre Desplat (The Curious Case of Benjamin Button & Harry Potter: The Deathly Hallows), who left the project due in part to the notorious Rogue One re-shoots. Giacchino is a highly regarded composer having scored a list of high quality projects, including the TV show Lost and films such as Jurassic World, The Incredibles, Star Trek and most recently Doctor Strange. Giacchino has also won an Emmy award, multiple Grammy awards and an Academy award. This showed in his composition of Rogue One. Giacchino's musical touch generated a quite visceral reaction, emotionally the film was a rollercoaster, but the central themes that dominated the film are reflected by the music. The Empire, its might, strength and power was one central theme. The other was symbolized by the film's protagonist Jyn Erso, and the organization she comes to fight for, the Rebellion. Michael Giacchino's Rogue One album was released on the day the film was screened, on December 16th, which has given fans the opportunity to relive the soundtracks of the film. Two signature scores dominated the film - the main protagonist and antagonist, Jyn Erso and Director Orson Krennic respectively. These two signature scores represented by the names of two soundtracks; "The Imperial Suite" and "Jyn Erso & Hope Suite". Giacchino’s symmetry with John William’s work is ever present. 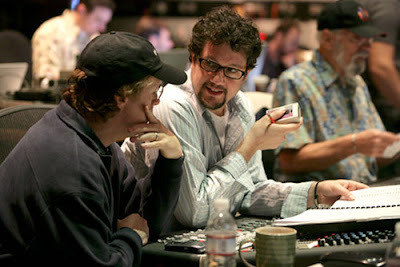 Not merely in terms of the use of iconic themes, such as "The Force Theme" and "The Imperial March", which are inserted into certain soundtracks, but also in the way in which Giacchino weaves in the protagonist and antagonist’s themes throughout the film. 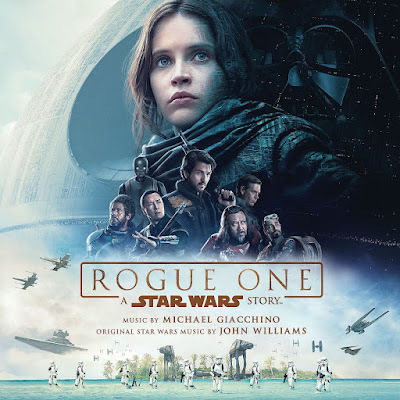 It is almost like Giacchino took the John William’s formula and inserted it straight into Rogue One because Jyn’s theme, much like Rey’s in The Force Awakens and Luke in the Original Trilogy, has been synced into multiple soundtracks, such as "Wobani Imperial Labour Camp", "Star-Dust" and "Your Father Would Be Proud". Notwithstanding the similarities, the nature and tone of the scores are very different from each other. Rey’s is full of life and hope, reflected with the use of the flute which embodies a child-like theme. Jyn’s theme, on the other hand, is much darker and embedded in tragedy and sorrow. Giacchino is telling the audience that Jyn is an innocent. The score reflects innocence, in both child- and adulthood. Jyn has been engulfed into something she feels she has to do out of love for her father and hope in the rebellion. What makes Jyn’s theme so special is the fact that there seems to be a build up throughout the album, almost as though Jyn’s final act is destiny, where tragedy is mixed in with hope. Her theme builds up to a sort of climax at the end of the "Confrontation on Eadu" score, but reaches its true crescendo in the "Your Father Would be Proud" soundtrack, represented with the insertion of a backing chorus at the end of the score. Similar to the way in which Giacchino disseminates the Jyn theme across the film, the composer also adopts this technique in relation to the villain of the film. 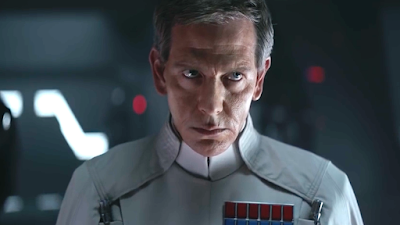 The presence of Director Orson Krennic, whilst in terms of screen time doesn’t feature as much in the film as Jyn, can be felt throughout the score. This reflects the nature of the film and the personality of the character extremely well. Krennic is driven by longing to be the Death Star’s chief in command and surpass Tarkin, who has seemingly been promised this accolade upon the Death Star’s final construction. 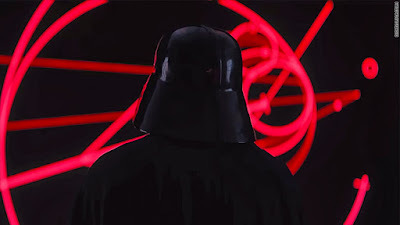 Krennic’s story arc is heavily connected with the Death Star and it makes sense that his theme would pervade throughout the soundtrack as the Death Star is one of the main focal points of the film – in essence the planet destroyer’s very existence is a driving motivating factor for many of our heroes in the film as they look to destroy the planet destroyer before it becomes “fully operational”. Each soundtrack has its own signature specialty. Giacchino managed to capture the very essence of John Williams prowess and this is reflected in the style of each score. There were so many soundtracks to enjoy and to choose the best five from this list was a near impossible task. 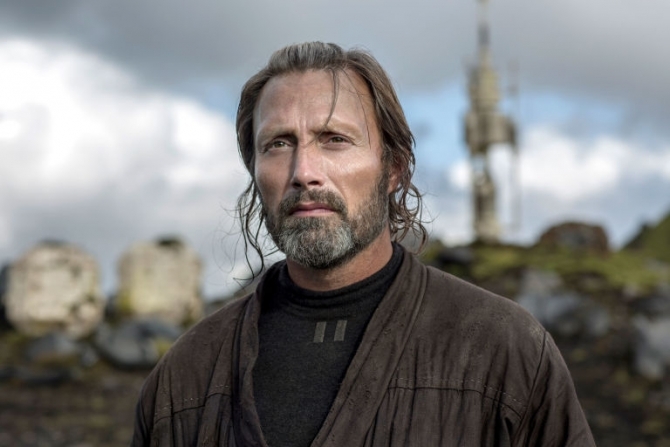 Other notable entries include: "Krennic’s Aspirations", "Jyn Erso & Hope Suite", "Star-Dust", "When Has Become Now", "He’s Here For Us" and "The Master Switch". The ‘light’ side of the Force, personified by the Jedi, are not a domineering force in this film as the film takes place in the age of the Empire, following the collapse of the Jedi Order. This track is the single track on the album which touches upon the old order. 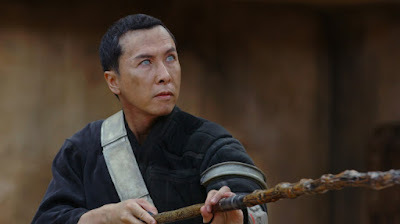 The score is used to remind the audience of a once better time in the galaxy – the nostalgia of the Jedi – which is felt most pervasively by Donnie Yen’s blind character, Chirrut. The fondness of the past is juxtaposed with the brutality and horror of the present. In my mind, it suggests to the audience that the Jedi, whilst forgotten and in ruin, are not dead yet. Eadu features the first major showdown between the Rebel protagonists and the Empire, embodied by the two major players Galen Erso and Director Orson Krennic. The soundtrack is both thrilling and energising, as though it is a titanic tussle between two characters who clearly have a lot of history together. The menacing undertones suggest that with each ‘hope’ or attempt to stand up against the Empire, the Rebels get beat down by Krennic and the Empire, as the score then concludes in the tragic re-telling of Jyn’s theme. The best part of the score can be heard from four minutes onwards. The climactic score of the entire film, though not the album, this piece resonates more closely with the themes from the Original Trilogy than any of the others on this album. "The Imperial March" & "The Force Theme" are interwoven in the shortest score of the album. Again the score effectively depicts the scene visually, as "The Imperial March" is played at its most imposing and is extremely powerful. By the end of the soundtrack, call-backs to the beginning of A New Hope can be heard. These familiar themes are cleverly used as leitmotifs to set up the next film in the franchise, A New Hope. The menacing, harsh and relenting theme of the film is this one. This score embodies the evil Galactic Empire. The Imperial March is actually not as present in this score as one would think, rather a proto-imperial march is interwoven within this score. Not quite at the level of The Empire Strikes Back or when Vader appears on screen. As stated earlier in this piece, the soundtrack encapsulates Orson Krennic as much as character in the film. "Your Father Would Be Proud"
On an emotional level this is the most powerful of all the tracks on the album. The feeling of sorrow and heartbreak in this piece is juxtaposed nicely with the aura of hope that the Rebel's actions have caused. 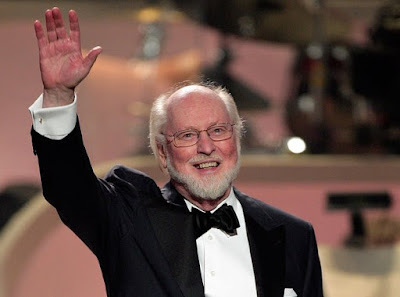 Jyn's theme breaks out into its crescendo at the end of the track, which delivers the visceral punch that has so often been credited with John Williams' works, namely in "The Force Theme". The title of the soundtrack also suggests why it is so powerful on both a character level and for the audience. What next for the ‘oxygen’ of Star Wars? The music of Rogue One was always going to be a hot topic of discussion in the first of the stand-alone films because it is the first Star Wars movie not to feature a score from the original composer of Star Wars, John Williams. There is no doubting the talent of Michael Giacchino. There is almost a sense of poetry with his musical composition, which is similar to that of the great John Williams. Giacchino clearly understands the importance of music in Star Wars as his composition was used to great effect in the film, it hit you hard in moments such as the final scene on Scarif and the confrontation on the planet of Eadu. The emotion of each scene was amped up because of the score. The film delivered on a number of levels, in terms of characters, story and tone, and the music was also a major contributing reason why this movie will be, and arguably has been, such a success. If this were one of the podcast produced by The SWU, like Live from Lothal or The Clone Wars Strikes Back, and I had to give this an album a rating, would I say it is as good or better than the work of John Williams? Well the answer would have to be ‘no’ because Williams is the inventor of the oxygen of Star Wars, his musical ingenious helped make Star Wars the cultural icon it is today. Was it better than any score that Williams made in an individual film? Again this is a tough comparison to make because Williams is so cognizant and closely connected towards Star Wars, as was most evident in The Force Awakens, that Williams' music became a part of the story. So comparing Giacchino with Williams is unfair, in my humble opinion, but what Giacchino has shown is that there is room for other composers to implement their own personal touch to a Star Wars film with both originality and playing off the work that Williams has already established. Giacchino has set down his own stall to show that (a) Giacchino has the potential to score a future Star Wars film and (b) Star Wars can remain Star Wars even without the magical touch of John Williams. Rogue One demonstrates that other composers can retain the ‘oxygen of Star Wars’ so long as they implement the "Williams Way". I'd like to agree with this review of Giacchino's work on Rogue One, but I don't. And it saddens me, being a fan of his work since 1999 and the Medal of Honor videogame soundtrack. But for me, it was a missed opportunity and Giacchino took the easy route. Now I understand that he was a last minute replacement. I didn't know that when I first saw the movie. I might cut him some slack next time I watch it. Still, for me the music was too loud, too pompous even during mundane sequences. Honestly, can you hum any of the new musical themes? I sure can't. Nothing really stuck in my ears. Giacchino was trying so hard to mimic John Williams, but he forgot that even Williams always tries to reinvent himself. In Episode VII, the scavenger theme is absolutly beautiful, and very different from what we heard before in the saga. There is a couple themes like that in Episode VII. Williams did the same with the prequels (and the music is probably the only redeeming quality of those horrors). Everybody remembers Duel of the Fates, for instance. Are we going to fondly remember any theme from Rogue One? I doubt it. I enjoyed the characters and the story, but the music is central in my appreciation of this universe and it didn't work for me. But I'm glad that it worked for other fans, it probably enhanced their personnal experience of the movie and that's what counts. All that matters is that the franchise remains alive and well for as long as possible. Cheers.